One of the most stressful chores for a family is a trip to the grocery store with preschool age children. If not well planned, you could have extra items in your cart when you get to the checkout line or be embarrassed when your child goes into full meltdown because they don’t get what they want. So, how do you grocery shop without losing your mind? At Valley Child Care & Learning Center we strive to support families by not only meeting their Preschool, Childcare and Daycare needs but in all aspects of daily life as well, with locations across the Valley including Phoenix, Glendale, Chandler, Tempe, Surprise and Anthem we’re sure to have a location near you! Now about that grocery shopping, we have a few ideas that might work for you! 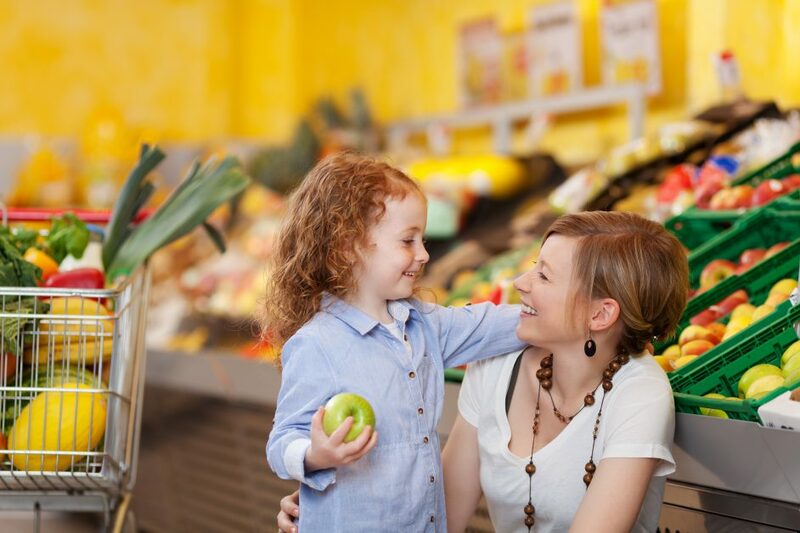 First, be sure that the children are well rested and have had a snack before you reach the store. Actually, this advice may work for the adults as well! Set expectations before you get inside the store, that they will have to sit in a cart and that they should not be reaching and placing things in the cart without asking first. Once inside the store, you can give the children a paper pad and crayons that you brought. They can draw pictures of the things you have on your grocery list. You can also give them your actual list and cross things off the list when they are placed in the cart. Another distraction for them could be for them to play “I Spy” for items that you read off your list for them to find. They will feel they are part of the grocery shopping experience if they can find things you need to buy. When possible, give the children a choice or two on what you are buying for them. For example, you could ask if they would rather have bananas or apples for snacks during the week. Finally, be sure to give them positive reinforcement when their behavior is good in the store. They will feel proud that they have been able to meet your approval. When you get home, have your little shopping buddy help carry the groceries into the house. Give them a bag with one small item to carry. It’s never too early for them to learn that it’s everyone’s job to help pitch in with family duties. 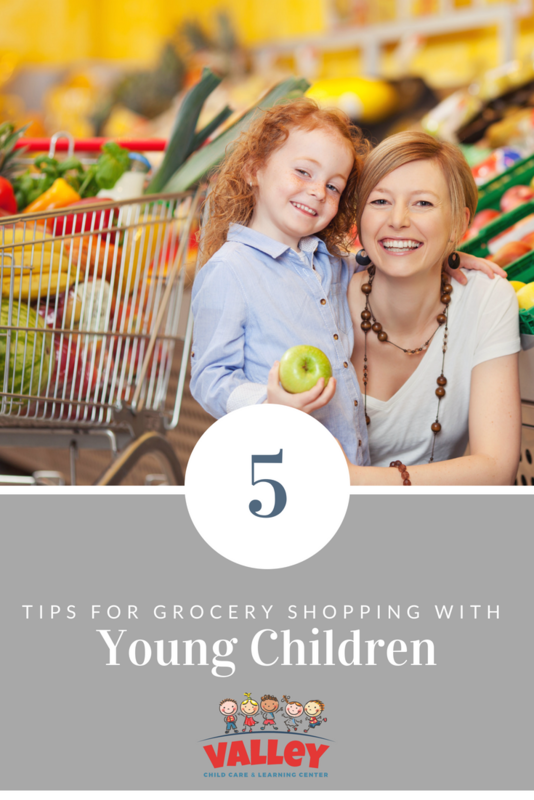 How do you make grocery shopping with your toddler or preschooler fun and meltdown-free?